Happy 4th of July! Today we Americans celebrate freedom and independence. It was back in 1776 that America declared its independence from the Kingdom of Great Britain by adopting the Declaration of Independence. Today many of us will celebrate with parades, fireworks, barbeques, picnics, concerts, baseball games and beer. There is nothing more American than getting rip roaring drunk and handling explosive fireworks. Ironically it’s also a busy day for local area emergency rooms. But drunken mangled appendages aside, what does it really mean to be free and independent? If you’ve never read the Declaration of Independence you can get an idea of what the founding fathers of this country considered freedom to be. I’d never read the entire text until yesterday. It’s basically a laundry list of complaints, grievances and charges against King George III. It’s also a statement that when the people of a nation believe that certain unalienable rights have been violated then the people have the right to revolt and abolish that government. As our sabbatical departure draws ever closer I can’t help but spend some time today reflecting on our own revolution, our own Declaration of Independence. It wasn’t that long ago that I thought the only path to follow was the traditional path of working for the weekends and 2 weeks of vacation a year. And there is nothing wrong with that if it works for you. But I’ve always had this nagging feeling that there was more out there, a different way of viewing the world and how we interact with it. Over the course of the past year since starting this blog I’ve met so many people who have crafted their own Declaration of Independence and are doing exactly what they want to be doing. It’s some amazing, inspiring and motivating stuff they are doing too. We all have the potential and ability to do the same. Are you doing what you really want to be doing, what you’re really passionate about? If not, what’s stopping you? What would your own Declaration of Independence look like? Hi Joanna! Yes, I think we do have similar goals of Independence. It’s so good to hear that you are following that path and starting to make some inroads to making it happen. Step by step you will get there. If I can help you guys in any way please let me know. We’re about to finally book our tickets and set a date for departure. Then things really start to take off. Haha!!! Yeah things can get a little crazy. Here in Oregon many people head to Idaho to get the good stuff that shoot into the air. It’s illegal here but it never stops people. So you have fireworks shooting up everywhere. 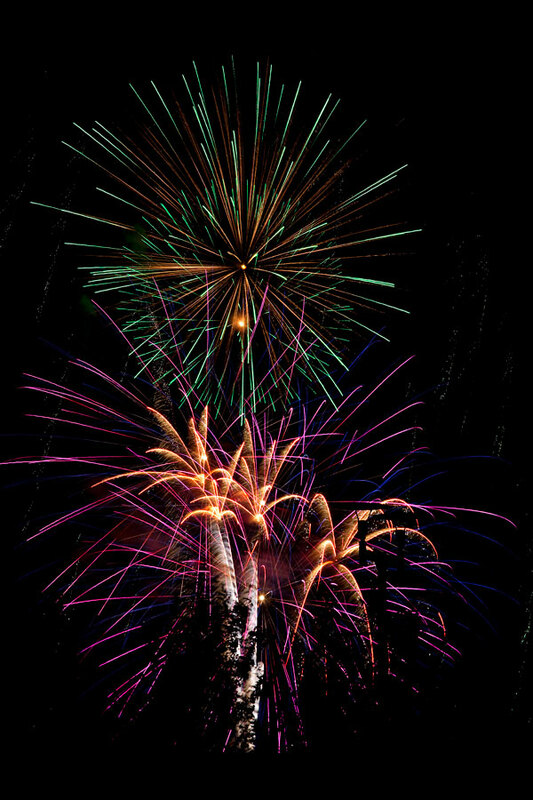 Check out a few of the photos I took of the fireworks on Independence Day.